Religious life in early America is often equated with the fire-and-brimstone Puritanism best embodied by the theology of Cotton Mather. 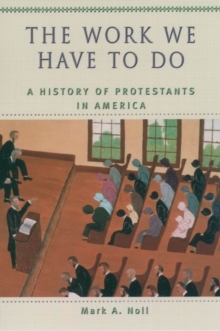 Yet, by the nineteenth century, American theology had shifted dramatically away from the severe European traditions directly descended from the Protestant Reformation, of which Puritanism was in the United States the most influential. In its place arose a singularly American set of beliefs. In America's God, Mark Noll has written abiography of this new American ethos. In the 125 years preceding the outbreak of the Civil War, theology played an extraordinarily important role in American public and private life. Its evolution had a profound impact on America's self-definition. The changes taking place in American theologyduring this period were marked by heightened spiritual inwardness, a new confidence in individual reason, and an attentiveness to the economic and market realities of Western life. 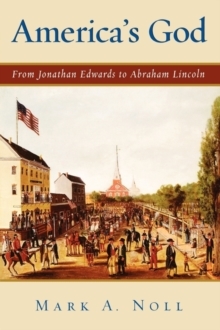 Vividly set in the social and political events of the age, America's God is replete with the figures who made up the early American intellectual landscape, from theologians such as Jonathan Edwards, Nathaniel W.
Taylor, William Ellery Channing, and Charles Hodge and religiously inspired writers such as HarrietBeecher Stowe and Catherine Stowe to dominant political leaders of the day like Washington, Jefferson, and Lincoln. 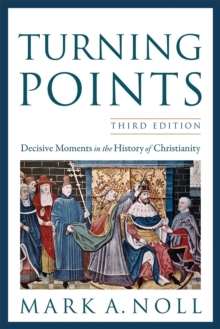 The contributions of these thinkers combined with the religious revival of the 1740s, colonial warfare with France, the consuming struggle for independence, and the rise of evangelicalProtestantism to form a common intellectual coinage based on a rising republicanism and commonsense principles. As this Christian republicanism affirmed itself, it imbued in dedicated Christians a conviction that the Bible supported their beliefs over those of all others. Tragically, this sense of religious purpose set the stage for the Civil War, as the conviction of Christians both North and South that God was on their side served to deepen a schism that would soon rend the young nationasunder. 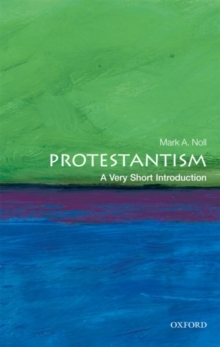 Mark Noll has given us the definitive history of Christian theology in America from the time of Jonathan Edwards to the presidency of Abraham Lincoln. It is a story of a flexible and creative theological energy that over time forged a guiding national ideology the legacies of whichremain with us to this day.